Alberta Pane gallery is pleased to present Anthropo-Scene a new exhibition by the British artist Gayle Chong Kwan. Gayle Chong Kwan’s ‘Anthropo-scene’ is a multi-layered installation that explores the built environment, strata and waste, in relation to the City of London. Fantastical large wall-based photographic panoramas are created from London’s lost buildings and contemporary waste. Installations in the gallery recall stacks of archaeological drawers. The photographic and sculptural elements range in ratio and scale. Chong Kwan brings together contemporary, historic and archaeological objects and materials, juxtaposing excavation and construction, ruin and renewal, and confounding their chronology in order to question what we leave to posterity. Chong Kwan explores different landscape ‘scenes’ in terms of staging the view, as well as the place, where an action or event occurs. In 2002, Paul Crutzen, the Nobel Prize-winning chemist, suggested that due to increased human population and economic activity we have left the Holocene and entered a new geological epoch. In 2008, a proposal was made to the Stratigraphy Commission of the Geological Society of London to make Anthropocene a formal unit of geological epoch division. This shift in the relationship between humanity and nature further complicates distinctions between artificial and natural, and real and imaginary – questions raised by Chong Kwan‘s installation. 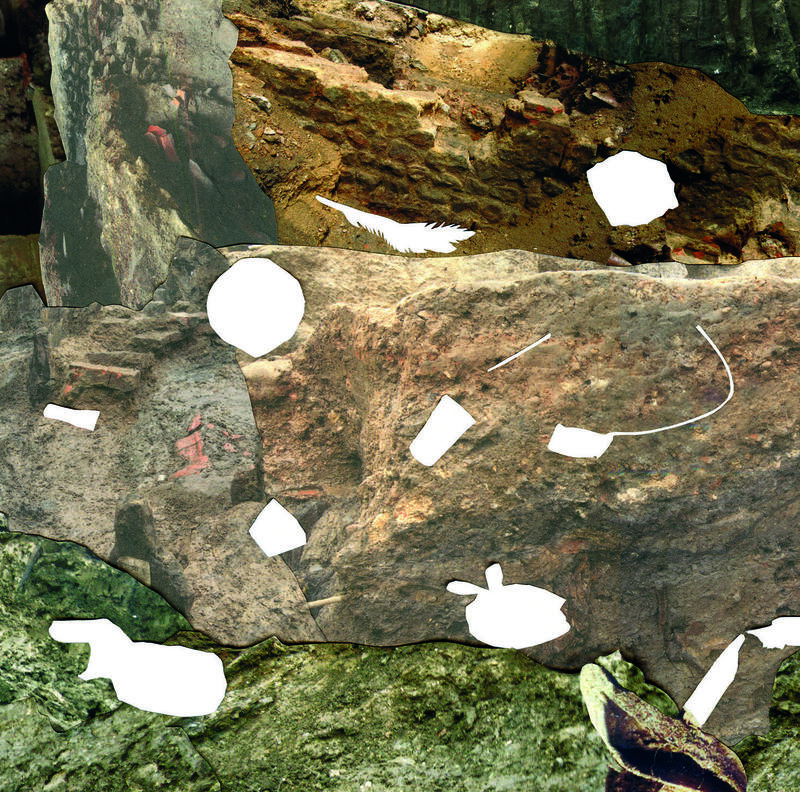 The works in ‘Anthropo-scene’ assert the importance of waste in giving measure to our lives. Waste is not just ‘matter out place’, a definition first given by Lord Palmerston in the mid-nineteenth century, it forms a denigrated, subordinate position within a spatial taxonomy dominated by binaries – clean and dirty, wanted and rejected, inside and outside.